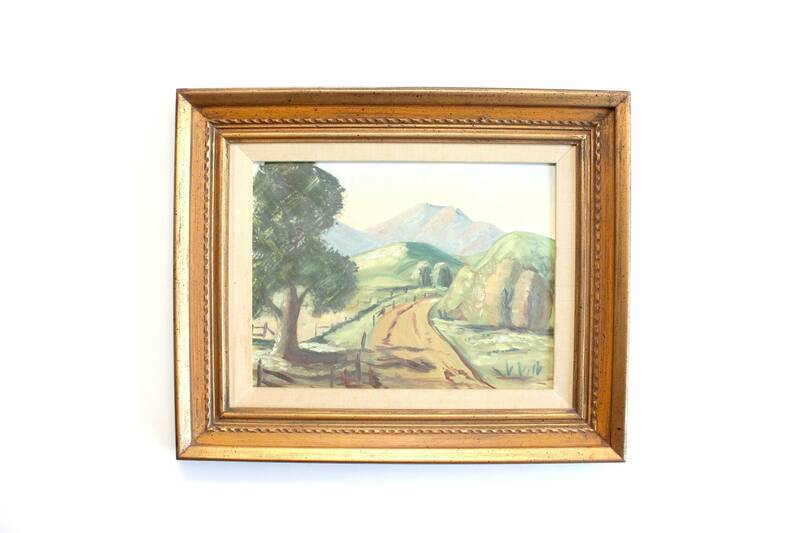 Original landscape painting. Acrylic on canvas board. 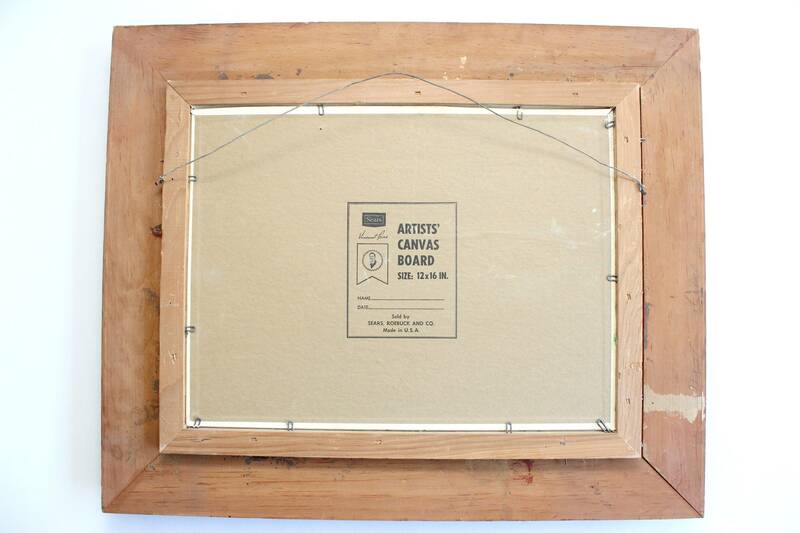 Vintage frame and matting. Hangs horizontally. Unknown artist. 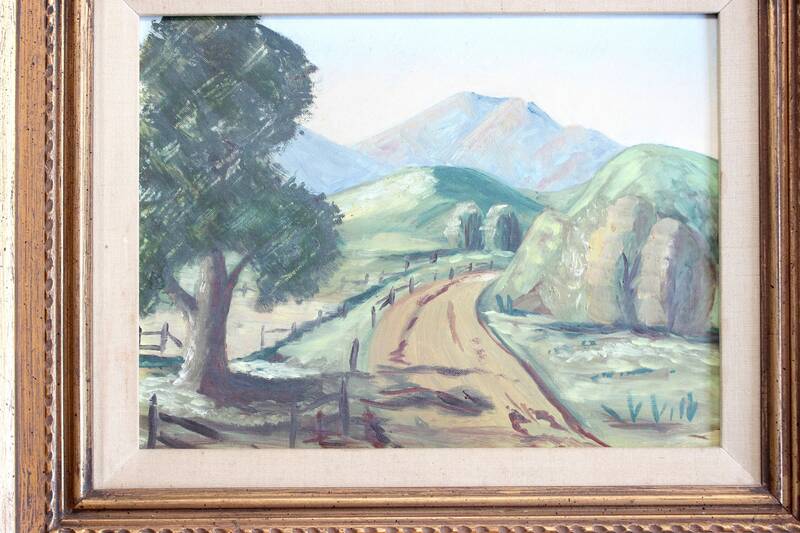 Does not appear to be signed or dated. 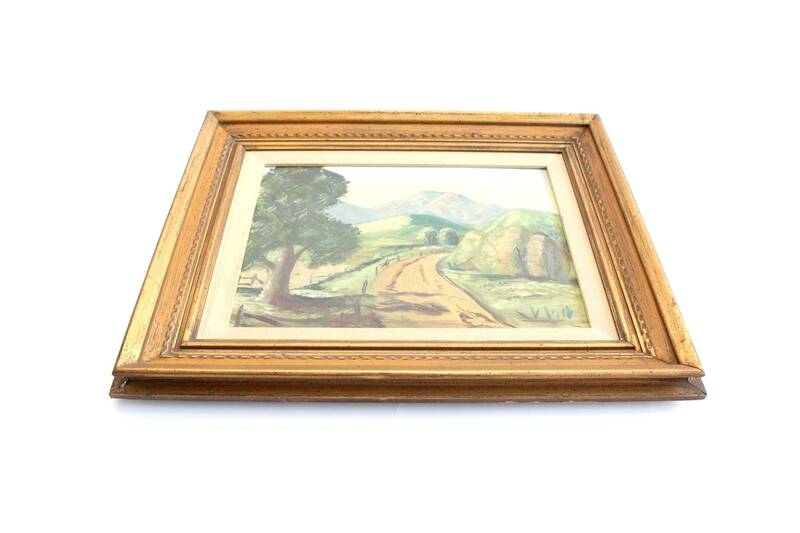 Canvas board is from Sears, Roebuck and Co. Country roadside scene with mountains and trees. Colors are mostly blues and greens. 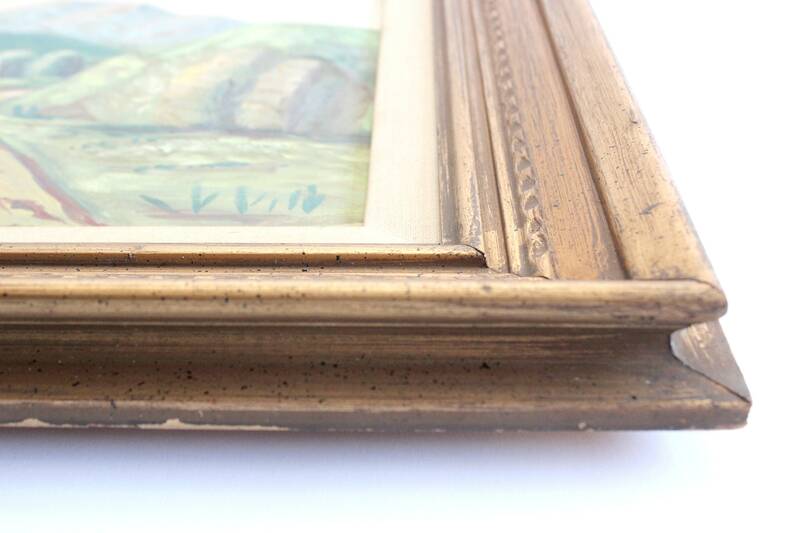 Lovely gold frame with fabric matting insert. Ready to hang with wire on back. 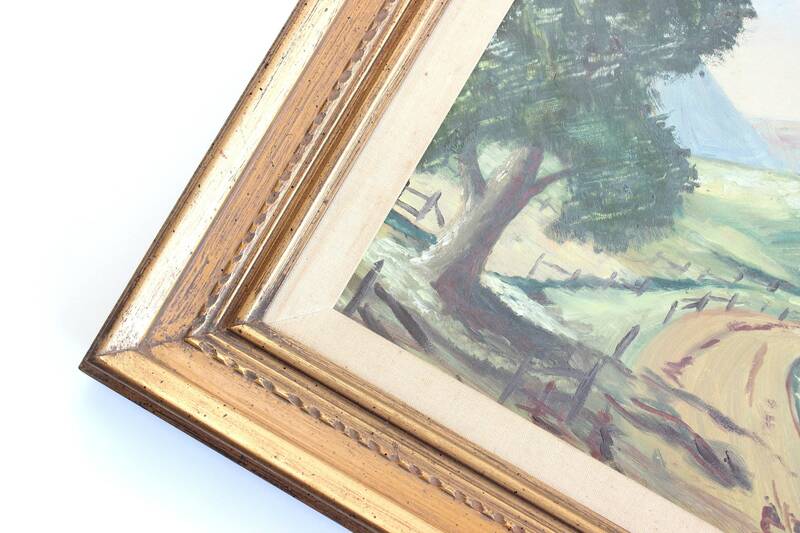 The painting is in excellent vintage/used condition. 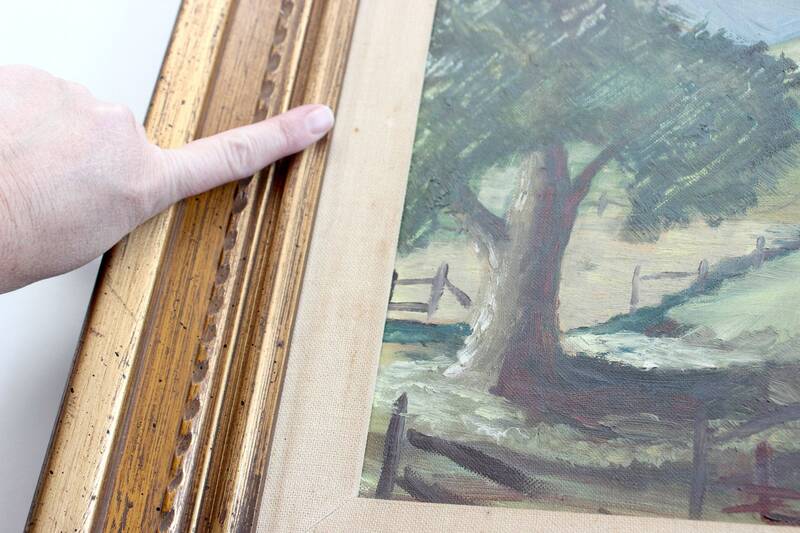 The frame has some light wear and tear and the fabric matting has some discoloration. A new matting may be desired. 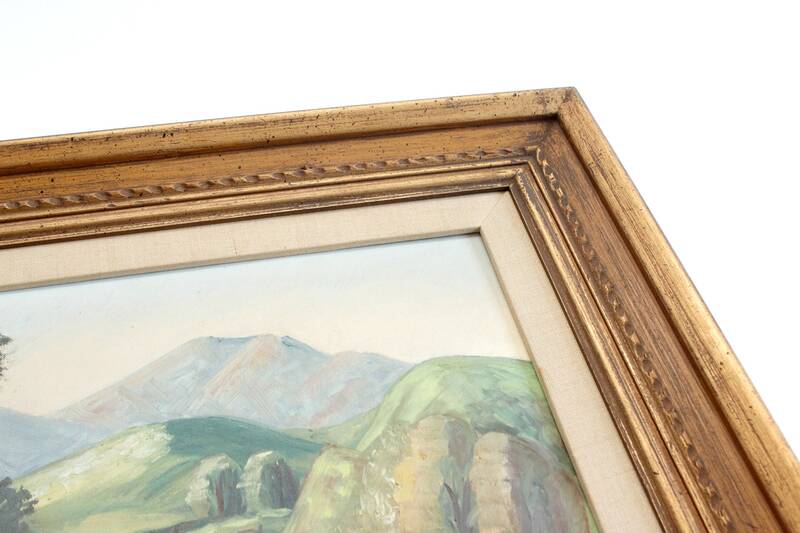 Measures 23 inches wide and 19 inches tall with frame. Artwork alone measures 16 inches wide and 12 inches tall. The cost of shipping on this item is based on a quote to ship across country. Shipping may be less for neighboring states. Overpaid shipping charges will be refunded when item(s) ships. If you are planning to purchase multiple items, contact me for a combined shipping rate, as this is sometimes possible. Free pick-up from zip code 91710 can be arranged. Enter coupon code: FREEPICKUP at checkout and leave a message so we can schedule a time for you to pick-up.